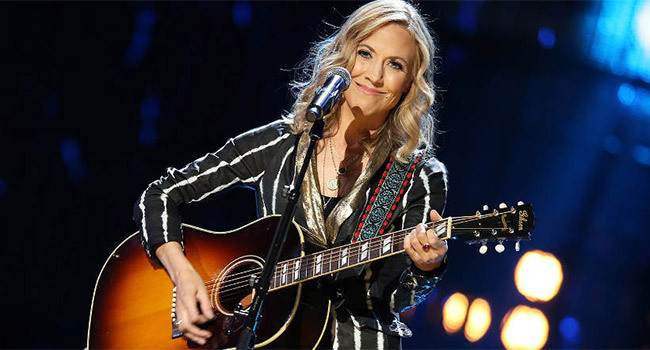 Big Machine Label Group President/CEO Scott Borchetta has announced the signing of nine-time GRAMMY Award winner Sheryl Crow to the label’s multi-genre roster of artists. Crow is an American music icon who has amassed over 35 million albums sold globally. She has recently been recording with several music greats including Stevie Nicks, Don Henley, Joe Walsh and Keith Richards for a collaborative album that is slated for release later this year. “I’m so excited to release my next record on Big Machine. I can tell that Scott Borchetta and all the people that work there love music and love what they do. What an exciting feeling for someone who has been in the music business for over 25 years,” states Crow. In addition to such No. 1 hits as “All I Wanna Do,” “Soak Up the Sun” and “The First Cut Is the Deepest,” Crow has lofted 40 singles into the Billboard Hot 100, Adult Top 40, Adult Contemporary, Mainstream Top 40 and Hot Country Songs charts, with more No. 1 singles in the Triple A listings than any other female artist. Many artists have collaborated with her on special projects, including the Rolling Stones, Eric Clapton, Smokey Robinson and Tony Bennett. Crow is also known for her passionate support of multiple charities including City Of Hope, Stand Up To Cancer, The World Food Program, Feeding America, ADOPT A CLASSROOM, the TJ Martell Foundation, the Elton John AIDS Foundation, MusiCares, and the Special Olympics.